Please note that this is not a Breed Identification test for mixed breed dogs. 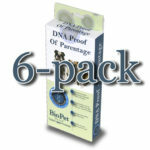 Rather, this is a dog DNA parentage test used by breeders to certify the puppies of registered dams and sires! 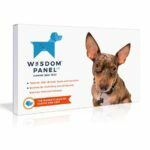 How Many Tests Do I Need to Purchase? • and one for each puppy. For example, if you have a litter of five puppies and two potential sires, you will need a total of eight tests – one for the dam + two for the sires + five for the puppies. 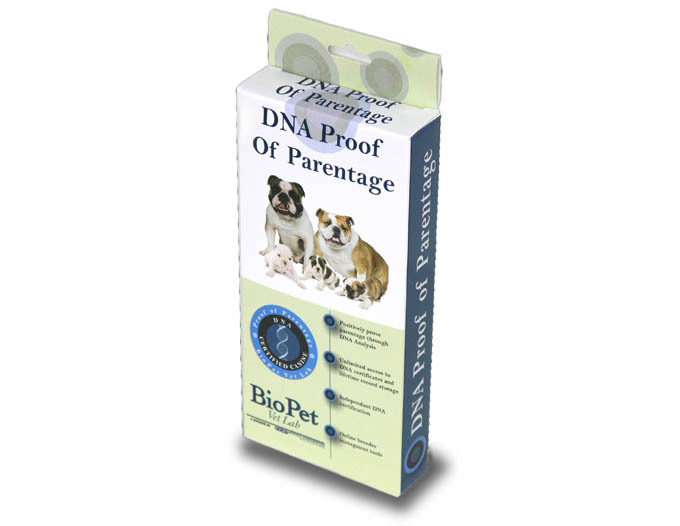 After your dams and sires have been tested and are in the database, you only need to purchase Proof of Parentage tests for subsequent puppies. 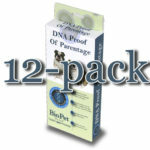 Proof of Parentage – more information and details.